New bridge upholstery and cover, 2005. Excellent headroom in main salon. Sleeps 5 to 6 people. Stove, fridge, microwave, hot shower. Fresh water boat, has been well maintained. 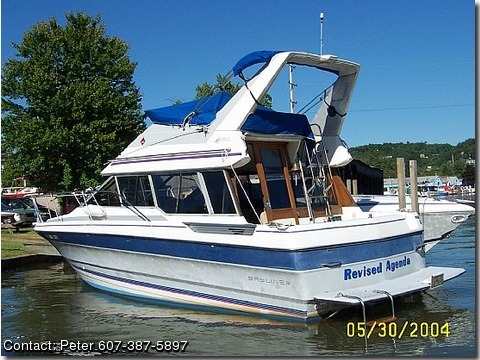 Priced to sell — Owner is purchasing larger boat.